I'll be working on two big crafty projects this weekend. Decor and favors for a pirate themed 5th birthday party and Halloween costumes for the kiddos. More to come on both later. 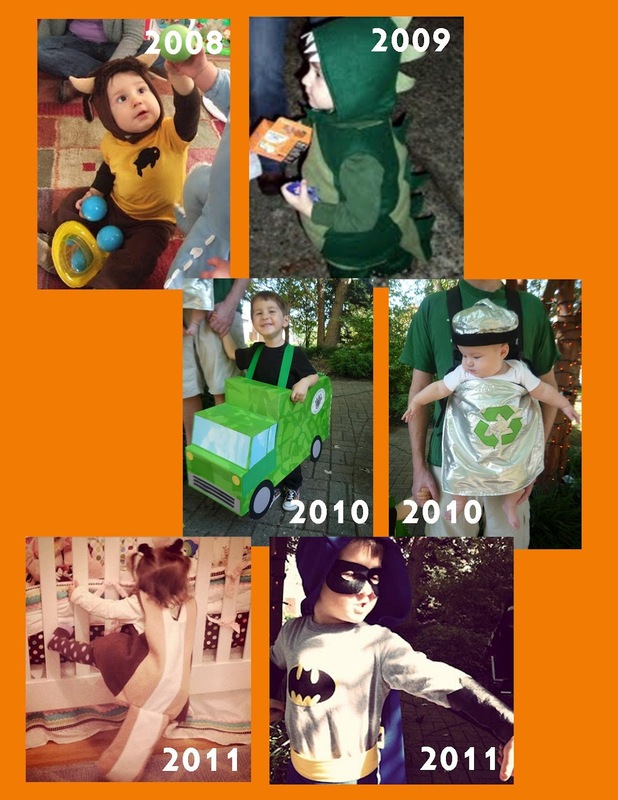 In the mean time here's a roundup of Halloween costumes I've made over the years. My favorite is still the buffalo, although the recycling bin is a close second. This year I'll be Trick or Treating with a pirate and a zebra - I can't wait!